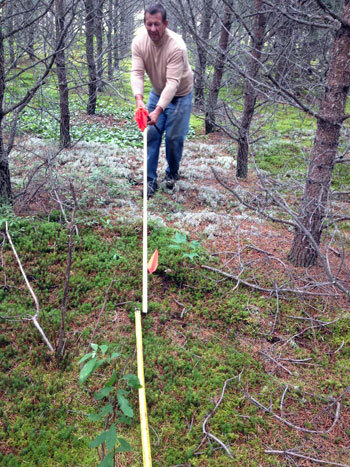 In the summer of 2014, Mauricie’s Wood Marketing Board (SPBM) set up three research plots on public and private forest territories in the City of La Tuque in collaboration with the École forestière de La Tuque and the Coopérative L’Autre forêt. 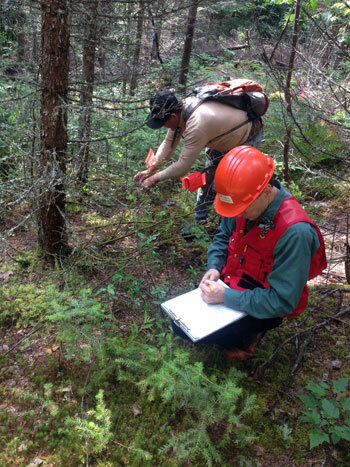 The role of the research facilities is to evaluate the effects of various levels of commercial thinning of forest stands on wild mushroom production. 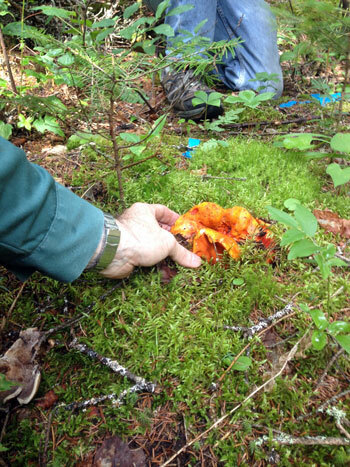 The species being studied are the Lobster Mushroom, Chanterelle and King Stropharia. 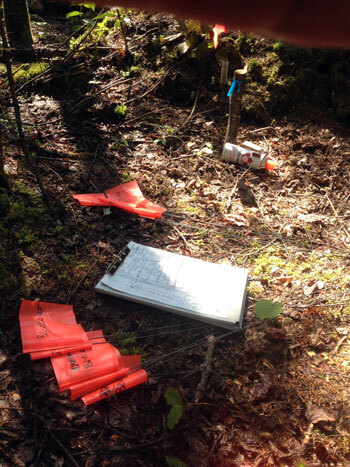 The implantation and propagation of wild Chanterelle mycelium via clods of soil is also being studied. Researcher Hugo Germain, Research Chair in Functional Genomic of Plant Pathosystems, and a Master’s student are currently developing DNA tests to detect the presence of four species of wild mushrooms with commercial potential in soil samples: the Lobster Mushroom, Pine Mushroom, Chanterelle and Large-stemmed Armillaria. The use of DNA tests will help to develop methods that increase wild mushroom production, improve the creation of maps of potential presence, calculate the speed of mycelium propagation during implantation, and allow for the foundation of a mushroom DNA database that could eventually be used to certify the origins of wild mushrooms labeled as products of Quebec in public markets, grocery stores, restaurants, etc., according to their genetic signature.